Our Top Two Tips to Make Healthy Eating Easy! I like to give all of our new clients my top two super-simple, healthy-eating tips, as it is true that you cannot “out-exercise” a bad diet. The key to healthy eating is to make it as easy and simple as possible. These two “rules” are my top two tips to simplify healthy eating for good. I promise if you can do these two things consistently, you will automatically avoid the foods that are making you fat, sick and unhealthy! Rule # 1 – Eat what your great grandma ate! Think about it. The more processed the food item, usually the worse it is for you—higher in fat, sugar, and hard to pronounce additives, preservatives, colorings and other chemicals, while lower in actual nutrients. Your great grandma did not eat foods with labels containing 20+ ingredients! She ate real food. Meat, fruit, vegetables, and baked goods made with just a handful of real ingredients. If you fill your plate with real, whole foods—foods that came from a farm, not a factory—you will automatically avoid most of the crap that is hiding in our food these days. Plus, your great grandma did not cook with canola oil, corn oil, or any of the other “healthy” vegetable oils that are in almost everything today. She cooked with butter and lard. You may be thinking “heart attack” when you read that, but it turns out good old-fashioned butter and lard (from pasture raised animals), along with coconut oil and high quality olive oil, are much better for your heart than vegetable oils. As it turns out, processed vegetable oils (corn, soy, canola, grapeseed, safflower, etc) are not that good for you. They cause inflammation in the body and are now suspected by many researchers to be a primary contributor to heart disease. In addition, it takes a LOT of processing to turn a rapeseed into canola oil, corn into corn oil, etc. They must use solvents to extract the fats and then must treat the resulting oil extensively to make it palatable, adding preservatives and even “de-odorizers”. The bottom line is that you are better off eating the healthy natural fats that people of your great grandma’s generation ate in different parts of the world: avocados, nuts, coconut oil, butter, lard (grass-fed), and olive oil (cold applications only—don’t cook with olive oil!). So Rule #1—eat a low CRAP diet, not a low-fat diet, by eating real, whole unprocessed foods and healthy fats, as your great grandma would have. If you can eat this way 80% of the time, you will feel more satisfied, reduce inflammation, and give your body the nutrients it needs to stay healthy! Rule #2—Never eat carbs alone! The essence of this rule is to always eat protein with your carbs and vice versa. Your body needs carbs for energy. But it’s better for your blood sugar, your energy levels and your hormonal balance to never eat them alone. When you eat a meal or snack of just carbohydrates (ie bread, crackers, pasta, fruit, vegetables, sweets, milk, flavored yogurts, soda, juice) your blood sugar rises quickly, as does your energy. Your body quickly produces insulin and other hormones to convert excess sugar to fat to store it and get it out of the bloodstream. 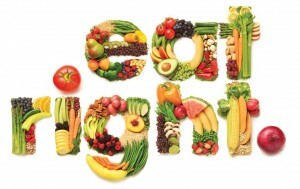 Before long, your blood sugar crashes and you feel sluggish and tired, and you are usually craving more carbs. So you eat more carbs, repeating the cycle. Repeating this cycle too often leads to insulin resistance and type 2 diabetes, along with lots of inflammation in the body. The solution to this is to balance your protein and carbs at every meal and snack. When you eat protein with carbs, it slows the absorption of sugar into the bloodstream, prevents a big blood sugar spike (and the following spike in insulin), and provides you with energy that lasts. Your hunger is controlled, you avoid cravings and you have more energy. Worth it, right? If you can follow these two basic eating strategies, you will feel better, have more energy, and get your cravings under control… making healthy eating easier than ever before. Do you suffer from knee, back, ankle, foot, or anywhere-else joint pain? Do you find yourself craving sugar and being hungry all the time? Do your nails break easily? Does your hair split and thin more readily than it used to? If you answered yes to any of the above questions, then keep reading. I could go on and on. I have about 1,000 more of these just like this, but I think you get the point. What is this mystery powder? Stay tuned as I will reveal what it is, but even more exciting than that, I have a big announcement to go along with it. Erica Jones is a health food enthusiast, natural beauty guru and contributor to Fit Moms for Life. I’m not a fan of raw cauliflower. Not even a little bit. When I see those pre-made raw veggie trays in grocery stores and they have the ranch dip in the middle, I always wonder why they waste space by offering up raw cauliflower. It’s one of those veggies (right along with broccoli) that I just can’t stomach raw. But I know that there are incredible health and skin benefits to eating cruciferous vegetables like broccoli and cauliflower. So I add them to my diet in a way that’s palatable to me. Cauliflower helps to fight cancer, promotes health digestion and fights free radicals which helps to reduce early signs of aging and give skin a youthful glow. Turmeric has long been recognized for its anti-inflammatory effects which is the root cause of pretty much every chronic condition in Western nations. Chronic, low-level inflammation can also cause persistent breakouts, blemishes and age spots. Cilantro and lemons are foods that naturally detoxify the body and help to remove impurities from your skin. This can definitely help in having a clear complexion. Cumin aids in digestion which is directly linked to your complexion. Healthy digestion is a precursor for clear, gorgeous skin while acne prone and blemished skin is almost always a symptom of poor digestive health (which can be corrected with optimal nutrition, gentle detoxification and lifestyle strategies). 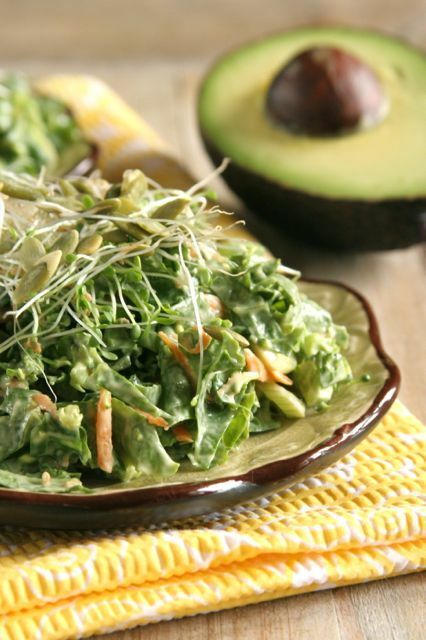 This recipe packs a major punch when it comes to health and skin benefits. And if you’re not even really a fan of cauliflower, I encourage you to try it because you might be surprised by how much you like it. 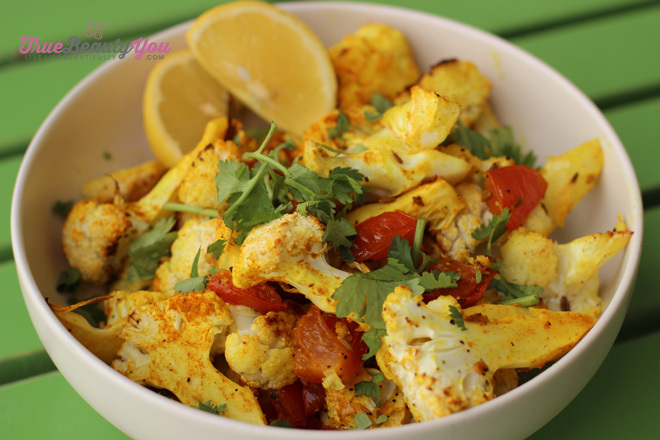 Toss the cauliflower in the olive oil along with the tomatoes, garlic and seasonings. Spread the mixture out on a baking sheet and roast for 25 minutes until cauliflower is just touched with golden brown. Remove from the oven and sprinkle with fresh lemon juice and cilantro for garnish. To learn more about Erica and get more recipes and natural beautytips, visit www.truebeautyyou.com or follow her on Facebook at TrueBeautyYou. 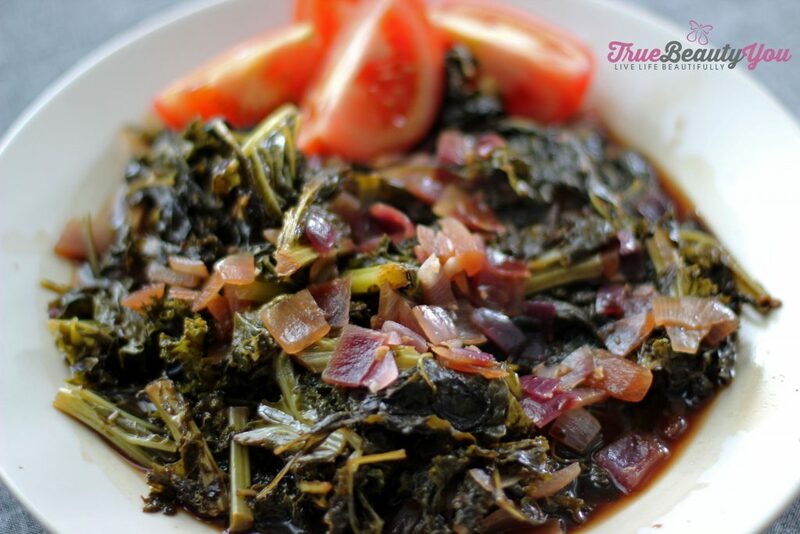 One of my favorite side dishes is garlic collard greens with bacon and vinegar. It’s a play on the collard greens that my grandmother makes and I tried a similar strategy with this kale recipe. And it turned out to be absolutely delicious. It’s such a savory, rich flavor that pairs well with nearly any protein. A great benefit to eating kale is that kale is a superfood. It’s also a cruciferous vegetable—a food group that is widely recognized for helping to reduce the risk of cancer. It’s also rich in a wide variety of vitamins and nutrients, it’s anti-inflammatory and it contains anti-oxidant properties. All around, eating kale is a win. I love kale—raw, juiced, sautéed, in my breakfast shake…I’ll eat it a variety of ways. This particular recipe is great for anyone that just can’t seem to appreciate the taste of kale in its raw form. Sauté it and cook it down and let the natural flavors and aromas lure you into loving this superfood side dish. Also, please make sure that you get a good quality balsamic vinegar. It really makes a difference in the flavor and can take the taste to another level. Heat 2 to 3 tablespoons of olive oil over medium heat. Once hot add the onion and sauté until soft, but not translucent. Add the garlic and sauté for 1 minute until fragrant. Add the kale and sauté with the garlic and onion, coating the leaves with oil as you stir. Feel free to add more oil if you need to prevent things from sticking. Season the kale with salt and pepper to taste. Add the balsamic vinegar and continue to sauté, coating the leaves with the balsamic. Add the broth, cover and let simmer for 5 to 7 minutes until the leaves are very soft and wilted. Remove the pan from heat and drizzle the kale with more balsamic vinegar, tossing to cover the leaves. Serve with tomato wedges if you like. Renee Cefalu is a Holistic Health and Wellness Coach, she is on our social media management team, and is a recipe contributor to Fit Moms for Life. This tasty recipe includes many healthy ingredients with beneficial nutrients and healing properties. It is also delicious as leftovers.~ ENJOY! Cilantro aids in the removal of heavy metals including lead, copper and mercury. Spinach has many phytonutrients and antioxidants that promote health and has properties that prevents disease. Lemons are known for antioxidant properties and has been used for centuries to cure many different ailments. Cumin aids in digestion, improves immunity and treats disease and disorders. Paprika has antibacterial, anti-inflammatory, antioxidant properties and aids in skin health. Barley is a nutritional powerhouse loaded with fiber, contains important vitamins and minerals, and offers cardiovascular protection, cancer prevention and is a blood glucose stabilizer. Preheat oven to 375. Slice eggplant about 3/8-inch thick. Arrange on cookie sheet and brush with olive oil and salt and pepper to taste. Cook 5 minutes, remove and flip eggplant, brush with olive oil and salt and pepper to taste. Cook another 5 to 7 minutes and remove. Once cooled cut eggplant into bit sized pieces. 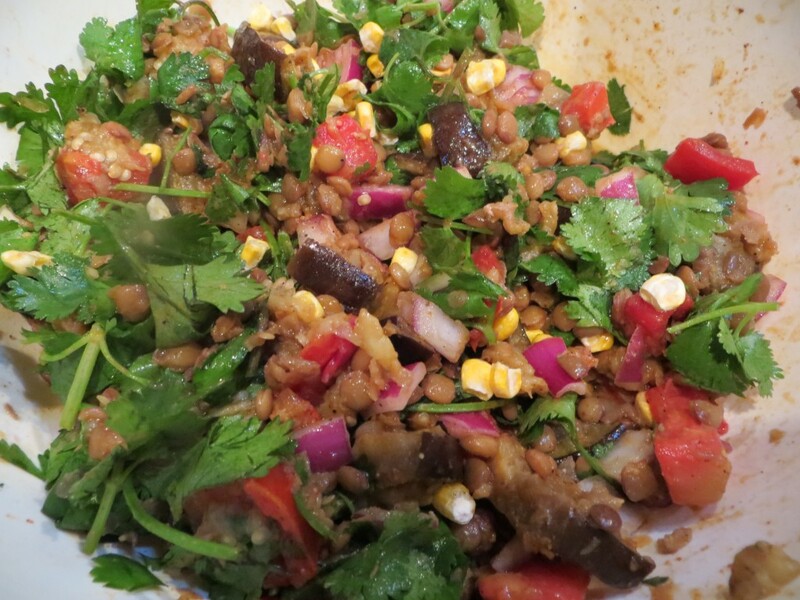 In a bowl toss prepared sauce with eggplant, tomatoes, corn, cilantro, spinach, onion and barley. Wait up to 10 minutes or longer to serve stirring periodically. To learn more about Renee visit www.integratingwellnessintolifestyle, reneecefalu.healthcoach.integrativenutrition.com or follow her Facebook at Integrating Wellness Into Lifestyle. 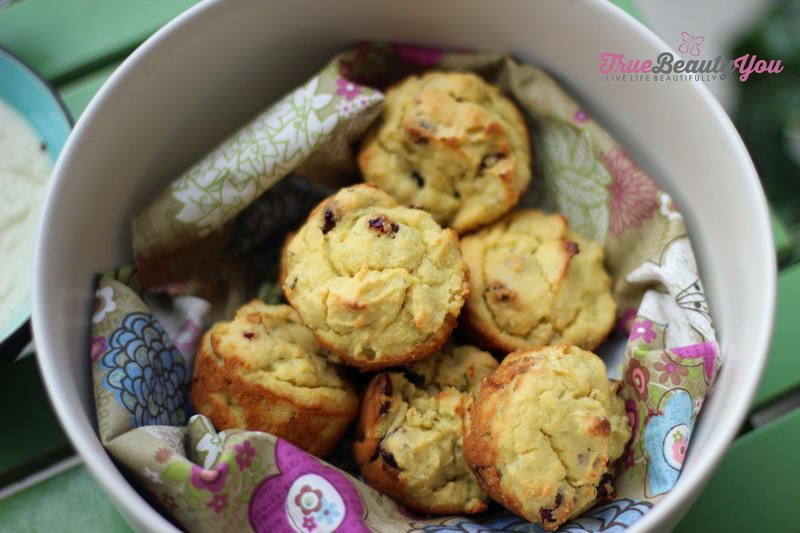 I love a good muffin, but sometimes good grain free recipes are hard to find. This one came about on a fluke from playing around in the kitchen. Gluten free baking can be really tough, but I’m proud of these muffins. They go great with Creamy Cauliflower Soup or they can be enjoyed solo. They’re savory with a little bit of sweet and they’re the perfect side dish for many fall inspired recipes. Simply roast your potato at 350 F until soft (I ended up needing about half a potato). Once cool, scoop the flesh (no skin) into a food processor and process until smooth. Now you have your sweet potato puree! 1. Preheat your oven to 350 F. Lightly grease 8 cups of a muffin pan with butter. 2. Whisk the eggs in a large bowl. Add the melted butter, sweet potato puree and olive oil. 3. In a separate bowl, mix the herbs, almond and coconut flours, baking powder and salt. 4. Mix the wet ingredients into the dry and stir until combined. 5. Gently fold in the bacon and cranberries. 6. Add a few heaping spoonfuls of batter to each muffin cup, dividing the batter evenly amongst all 8 cups. 7. Bake at 350 for 25 to 30 minutes. Serve warm with butter. I was brainstorming this recipe I wanted something that was simple and I wanted it to remind me of fall. This recipe did it. 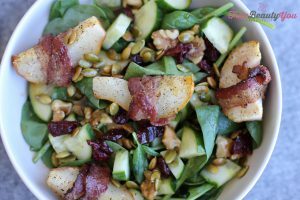 It features fresh spinach greens, Bartlett pears (wrapped with bacon, no less), crisp cucumber, crunchy walnuts and pumpkin seeds and my favorite—dried Bing cherries. This fresh salad reminds me of a crisp, fall morning. It’s absolutely refreshing. 2. Quarter the pears and remove the stem and seeds. Then cut each quarter in half. You should have 16 wedges total. 3. Using kitchen scissors, cut your bacon into thirds lengthwise. You should have long, thin strips. 4. Gently wrap each wedge of pear with one of the cut pieces of bacon, tucking the end underneath an area where the bacon has already been wrapped around the pear. Continue doing this for all 16 wedges. 5. Place the wedges in an oven safe baking dish and drizzle with olive oil. 6. Lightly dust the pears with sea salt and pepper to taste. 7. Roast the pears in the oven for 20 to 25 minutes until the bacon is cooked through and slightly crispy and the pears are lightly browned. 8. Serve as an appetizer or snack or as part of my Sweet and Savory Fall Salad. Dump all ingredients into a glass jar. Shake and serve. 1. Place a handful of spinach greens in each bowl. Arrange 4 of the Bacon Wrapped Pears atop the greens. 2. Sprinkle the salad greens with the pumpkin seeds, cucumber, walnuts and cherries or cranberries. 3. Drizzle with Garlicky Balsamic Vinaigrette. I love a quick and delicious recipe when I can find one and this one I originally found on PaleoPlan.com. I LOVE garlic, so whenever I get the chance I prefer to use it fresh instead of dried, which is the one change that I made to this recipe. Everything else is perfect as is! Hope you enjoy this as much as my family does! *Note: If you use the beef bacon, I’d use 8 slices instead of 4. The beef bacon cooks down so much more than the turkey. This is the brand I use of turkey and beef bacon. Preheat your oven to 350 F and add the garlic, salt and pepper to a small bowl and mix. Divide the seasoning among the 4 chicken breasts and spread it across each one using your fingers or press it in with a fork. 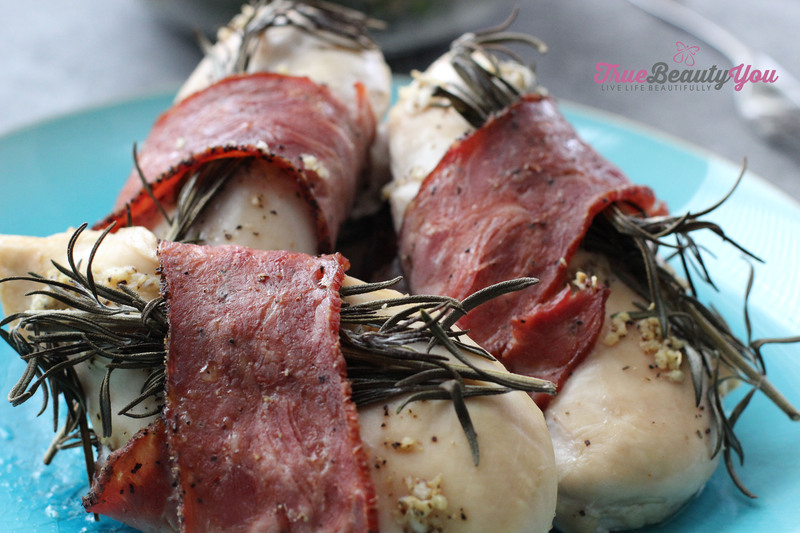 Lay 1 sprig of rosemary over each piece of chicken. Then gently wrap each breast with a strip of bacon. Transfer the chicken pieces to a baking dish and bake for 40 minutes or until juices run clear. I hope you’ve had a great week and are enjoying the start of June! 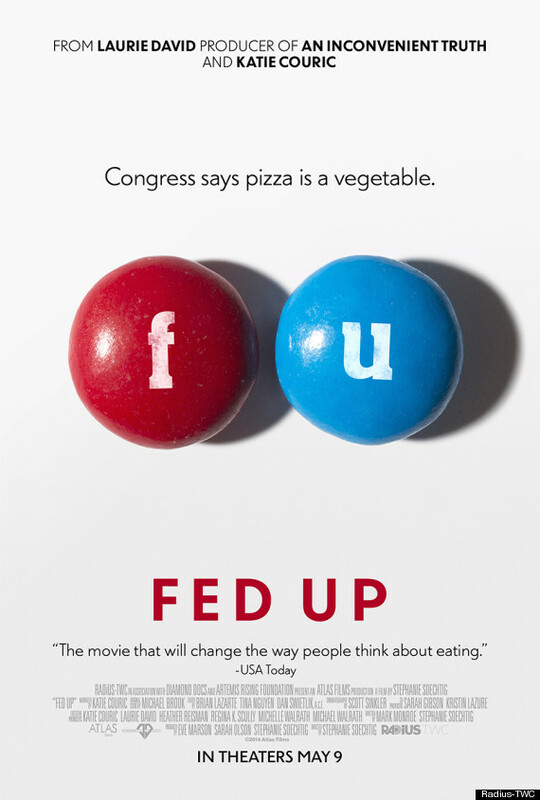 You may have heard of the documentary that recently played in theaters called Fed Up. In the past few weeks, 50 clients of my clients have gone to see this film. This was the best documentary I have ever seen on the obesity epidemic. Yes, even better then Food Inc. The main focus of the movie is the fact that sugar and processed foods are more addictive than cocaine. The movie also sheds light on the fact that the food manufacturers are in bed with the government to make this addictive concoction of sugar and processed food so prevalent, that willpower alone isn’t always enough to fight off obesity. The nutritional enemy in this movie is refined sugar that comes from processed foods and liquids. I definitely agree that this is the #1 culprit in our nation’s obesity epidemic. Fed Up shares the heart breaking stories of a handful of kids from around America who are morbidly obese. 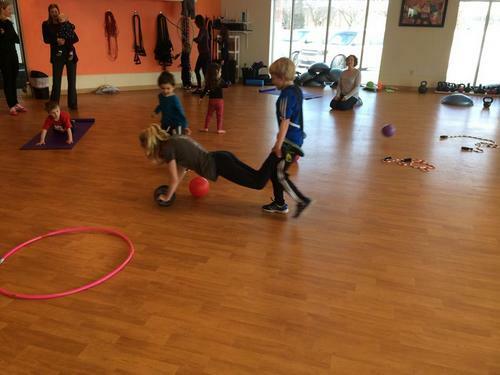 These children are trying to lose weight, but fight an uphill battle because their families are uneducated on proper nutrition and not very supportive in their kid’s efforts. I am glad this documentary hit main stream theaters and I hope that it gains some traction because I believe it is much more important and life changing than the next Hunger Games or Harry Potter flick. This is a must watch with your kids who are 8 or older. For many years, I’ve felt that the government should stay away from regulating corporations and allow them to sell what the consumers want (even if it is killing them). But seeing what is happening nutritionally in the schools today not only shocked me, but made me angry. Kids don’t have much of a chance of living a healthy lifestyle if they are eating poisonous, processed food both at home and school and are having this garbage “food” marketed to them wherever they go – commercials, sporting events, convenience stores, their own schools! Taking on the billion-dollar food industry and the government seems like such an impossible task, that we have no idea where to even start. I was trying to think how I could make a difference in regards to the schools, and the best thing I believe I can do is to inform you of what’s really happening in the food industry and encourage talk about it around the dinner table and then possibly take it up with your school board. Questioning the status quo and then trying to change it, isn’t an easy task, but it’s clear that our society will need to change so the children of today will not be looking ahead to a shorter life expectancy than their parents! I feel strongly about nutrition and wellness because helping others improve their health is why I believe I was put on this earth, but nutrition really and truly is crucially important to the quality of your family’s life! 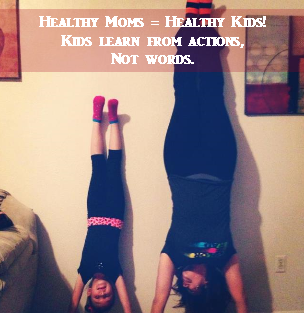 A healthy lifestyle and eating plan will add years on to your life and the lives of your kids, and it can also raise your family’s levels of self-confidence and self-esteem that generally come with being healthier, fitter, and fully living life each day. 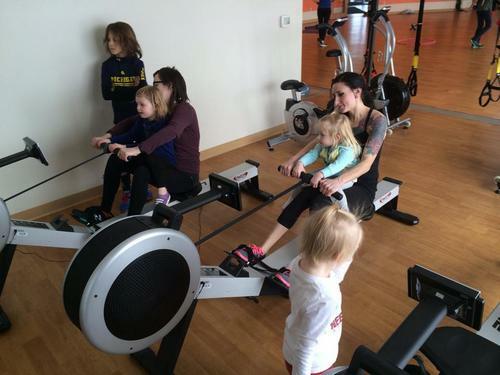 At Fit Moms For Life we are committed to doing whatever we can to encourage and empower you to pave a path of health and vitality for you and your family’s future. 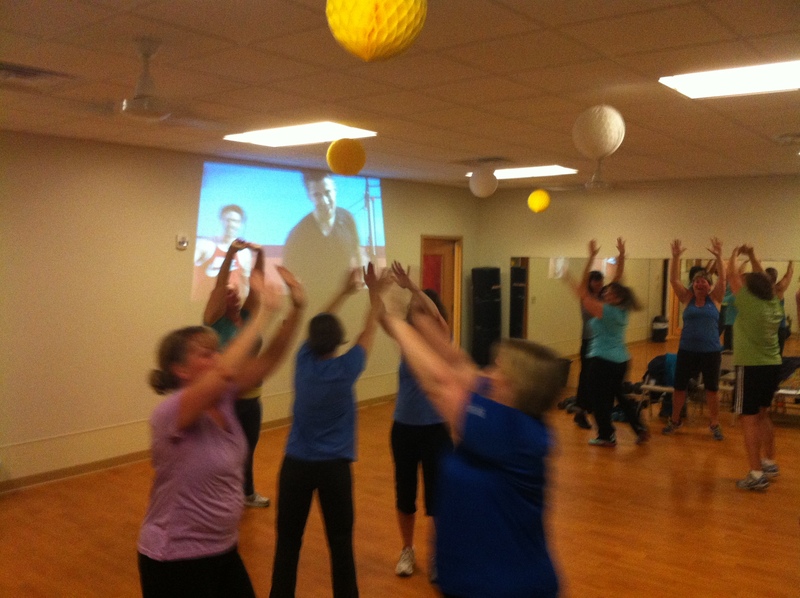 If you don’t live close enough to join our in-person programs in Madison WI, I encourage you to try out our Fit Moms For Life 6 week challenge. This 6 week home based DVD challenge has radically transformed the lives of over 600 women in the past 8 months! This program is different than anything else you have tried because it addresses 4 key lifestyle areas: mindset, fuel (food), movement (exercise), support/accountability. To create lasting change, all 4 of these areas of your life need to be in play. Click here to get started on your own journey. If you want to bring this to your community, work place, Bible study, or book club, click here and join us as a leader and get paid to help others find health and vitality! The grocery store is an interesting modern day spectacle. Over 30,000 individual items vying for our hard earned dollars. When making our grocery buying decisions some are very obvious… apple vs a candy bar for example. But there is so much we don’t know about when it comes to the food we eat. When I take groups on grocery tours, I devote part of the tour to talking about food labels, and in particular, the ingredients on the food label. I want to keep things very basic, so here are 9 ingredients you do NOT want to see on a food label in your home. If you see any of the below ingredients on a food label – just put back on the grocery store shelf-do NOT bring it into your home! If you can avoid consuming the above list of ingredients, you will most likely lose weight, have more energy, experience less bloating, and add years onto your life. Next time you are at the grocery store, spend a few extra minutes looking at the food labels-your health depends on it! If you are in Madison, I am holding 6 grocery store tours next week on the east and west sides of Madison. This is probably the most effective one hour of education you can receive when it comes to losing weight, feeling better and being healthier! For a small $25 investment, which includes an invite to bring a spouse along for free, you can discover the truth about what we are buying and eating from our grocery stores. If you haven’t watched Food Inc, I encourage you to watch it with your whole family. It is very well done and is sure to spark some great family discussions.